For several weeks, you’ve been getting headaches. Your vision is blurred and sometimes you experience double vision. Oddly, the problems go away after 7 hours of sleep, only to return later in the day. If this sounds familiar, you’re likely experiencing symptoms of eyestrain. In short, you’re working your eyes too hard and are probably doing this in harsh lighting conditions. Of course, there are other reasons for these symptoms, which is why you should see your eye doctor to rule out a more serious eye condition. Eyestrain by itself isn’t a long-term threat to your vision. However, not addressing the root causes of your problem will likely make the symptoms worse. Your ability to work, study, or to simply enjoy life is adversely affected. Note that you won’t necessarily experience all these symptoms. In fact, some of these, such as watery eyes and dry eyes, are mutually exclusive. One good indication that you are actually experiencing eyestrain, is the lessening or disappearance of your symptoms after giving your eyes several days of rest. Rest in this case means not using your eyes in the same way as you usually do. That is, you aren’t staring fixedly at something for hours at a time such as a book, computer, or engaging in an activity requiring focus on something small or close to your eyes. As mentioned previously, fixed staring at something such as a book or computer screen strains the eyes. This means the same eye muscles are constantly used and your eyes’ lenses are kept at the same focal length for hours at a time. If you held your arm up in the air for hours at a time, it too would suffer from fatigue. Therefore, you must take regular “eye breaks.” For every 20 minutes of work, look away from whatever you’re doing at a distant object at least 20 feet away for a minimum of 20 seconds. 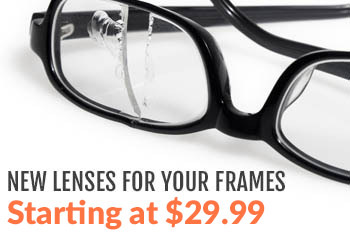 It’s understandable why you would want to hold on to your prescription lenses for as long as you can: they cost money. However, your eyes change over time and not adjusting your prescription glasses accordingly, forces you to work your eyes harder when reading print that appears fuzzy. Prescription Wiley-X glasses offer a wide variety of stylish and tough eyewear appropriate for different types of activities. When your current eyewear isn’t doing its job anymore, see your eye doctor. Glare comes from a variety of sources. If you spend hours in front of a computer, adjust the lighting in your room so that there’s no harsh contrast between it and your computer screen. Anti-glare screens and liquid crystal display screens are easier on the eyes. If you normally use a tablet, mix up your routine by using a computer. People generally view tablets at a closer distance than desktop computers. This closer distance makes the eyes work harder. 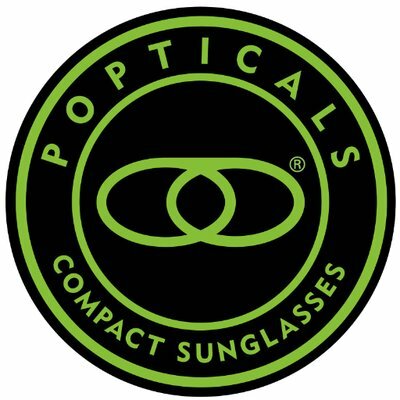 Consider getting eyewear with lenses that filter out the blue light emission from computer screens, television screens, and mobile devices. Blue light places extra strain on the eye’s focusing system because it has a substantially different focal length than other light wavelengths. By filtering out troublesome blue light, the eyes do less work and therefore experience less strain. The Active Series of prescription Wiley-X glasses come with a clear blue blocker lens option. This is a clear lens that blocks out blue light. The advantage of this over using tints that block blue light such as brown, vermilion, copper, rose, orange, and amber, is obvious. You don’t have to view the world through a colored lens. Colored lenses also reduce light transmission, which is desirable when you’re outdoors in sunlight. However, this makes indoor environments dimmer and isn’t recommended for night use. Clear blue blocker lenses are excellent for indoor use with computers and other blue light sources. They also don’t interfere with your night vision. An anti-reflective coating (AR) option is also available with prescription Wiley-X glasses. This coating eliminates reflections off the inside lens surface. This prevents glare from light sources above and behind you from bouncing off your lenses and into your eyes. If you would like to learn more about how our prescription Wiley-X glasses can help with your eyestrain difficulties, don’t hesitate to contact us at Rx-safety.